Plan on joining the Broward County Live Yes! Connect group on Saturday, February 23rd at Holy Cross Hospital 1000 NE 56th Street, Fort Lauderdale, FL 33334 - Dorothy Mangurian Comprehensive Women's Center Building 1. 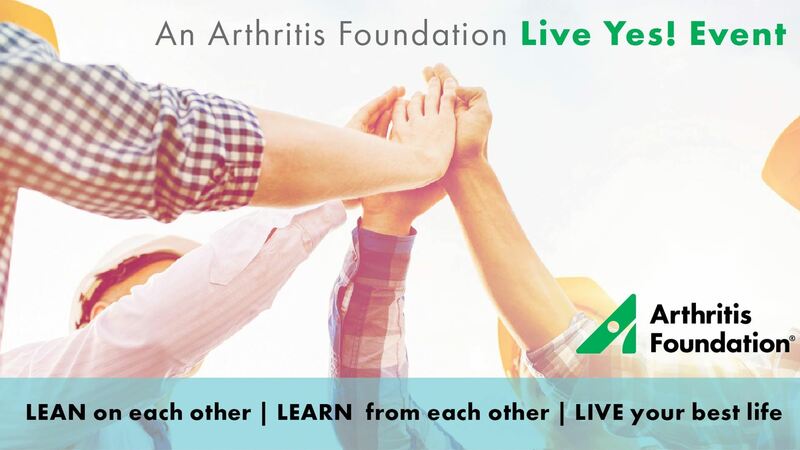 Guest Speaker, Dr. Stefffany Moonaz, will present yoga as a lifestyle designed to improve quality of life and overall well-being for individuals living with arthritis and rheumatic conditions. Dr. Moonaz is the author of the book Yoga Therapy for Arthritis. Refreshments and healthy snacks will be served.